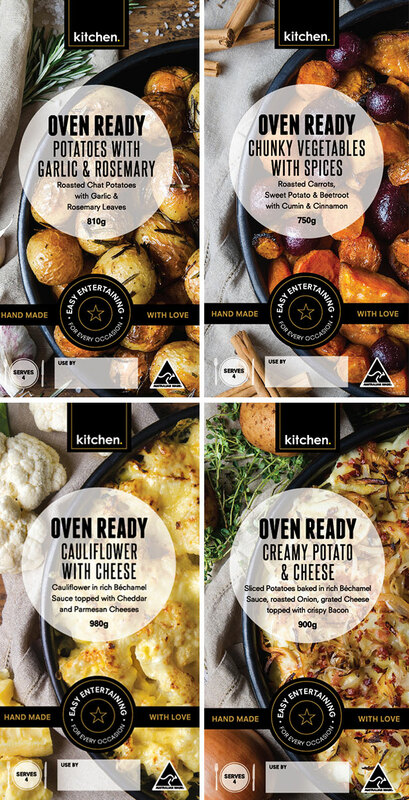 Our delicious (if we do say so ourselves) entertainment range will be available come Monday 23rd November in selected ‪#‎woolworths‬ stores around the country!! They are perfect for festive season entertaining. We are so excited for you to see and taste our new products. Let our chefs do the hard work for you! Simple, convenient and delicious. Looking for something to pair with your roast? Try our roasted chunky vegetables with spices – the perfect combination. Or if you want to keep it simple, our roasted potatoes with garlic and rosemary leaves will do the trick. Now if that doesn’t tickle your taste buds how about try our cauliflower with cheese or our creamy potato and cheese. These are both fabulous additions to any meal.